The surface of the pool water evaporates continuously causing excessive humidity in the room. According to research, the best relative humidity for the indoor environment is 40%~70%, and the human body feels moderate. According to the medical profession, when the air humidity is higher than 65% or lower than 38%. The virus reproduces most quickly, and when the relative humidity is 45%~55%, the virus dies faster. Larger humidity will affect the functioning of the human body. When the humidity in summer increases, the water vapor will become saturated, which will inhibit the function of the human body's heat dissipation. It will make people feel very stuffy and irritated, and will also reduce the concentration of thyroxine and adrenaline in the human body, causing people to be listless and wilting. Lack of resistance, coupled with the growth of germs, making the body more susceptible to pathogens. When the humidity is increased in winter, the heat conduction will be accelerated by 20 times, which will make people's heat dissipation faster, and they will feel more cold and depressed. Working and living in a place with high humidity for a long time, it is easy to induce rheumatic and rheumatoid arthritis. 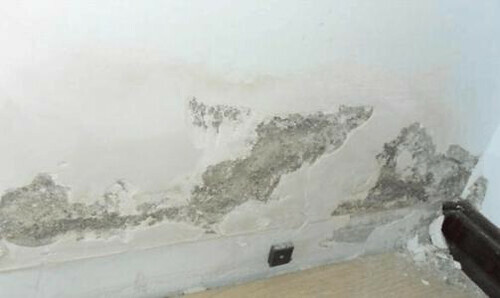 Too much moisture will make the wall damp and even moldy. The relative humidity of the environment is 75~95%, the mold grows explosively, and the mold spots are generated. The mildew causes damage to the decomposition of the articles. Water vapor contains a lot of chloride ions, which can cause chemical corrosion when attached to metal facilities. Although indoor swimming pools are certainly convenient, indoor swimming pools are also very expensive. Not only will you need to pay for the cost of the swimming pool itself, but you will also need to pay for an addition to your house that will involve considerable expense in building the structure surrounding the swimming pool. In addition to the substantial upfront costs, an indoor swimming pool will usually cause your electricity bills to be much higher than normal. Water heating systems, water pumps, additional lighting, and other pool devices will increase your heating your electricity bills considerably. Pool gear is very finicky, and the best choice is to decide upon to use brand new swimming pool equipment from poolking swimming pool equipment suppliers only.